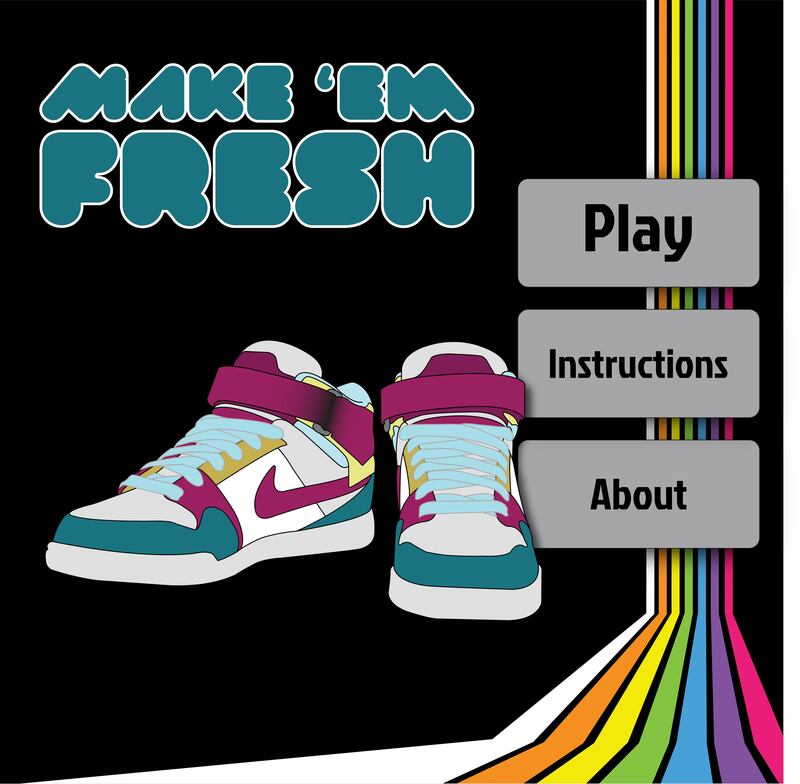 “Make ’em Fresh” is an educational and interactive computer game designed specifically for the sixth graders of the Ark Community Charter School in Troy, NY. Created in Adobe Flash, this game allows kids to explore their creativity while learning fractions and practicing money management. Kids color shoe templates and then sell their designs for money. The more money they gain, the more colors and shoe templates they can afford. In a continuation of the initial project two of the team members, Paula and Pat, pursued an independent study opportunity to revamp and finish the game. The updated version was created using MIT’s Scratch program and can be found on the program’s website. 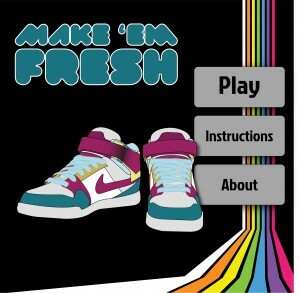 Learn about iterations that led up to Make ’em Fresh.